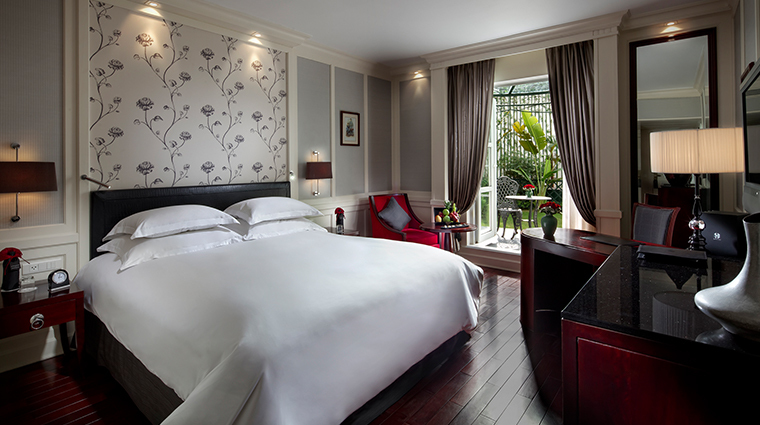 Situated at 15 Ngo Quyen since its opening in 1901, Sofitel Legend Metropole Hanoi draws deeply from a century of stories to weave a rich, nostalgic guest experience in the heart of the Vietnamese capital. 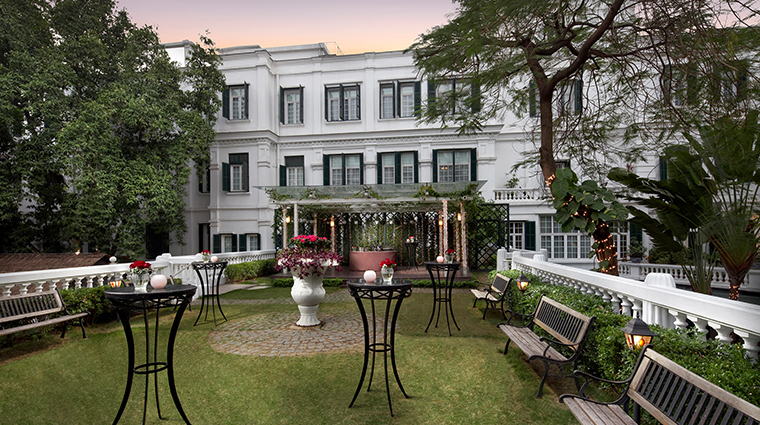 Over the years, the Metropole has checked in many an illustrious character, including novelist Graham Greene, writer Somerset Maugham and movie star Charlie Chaplin. 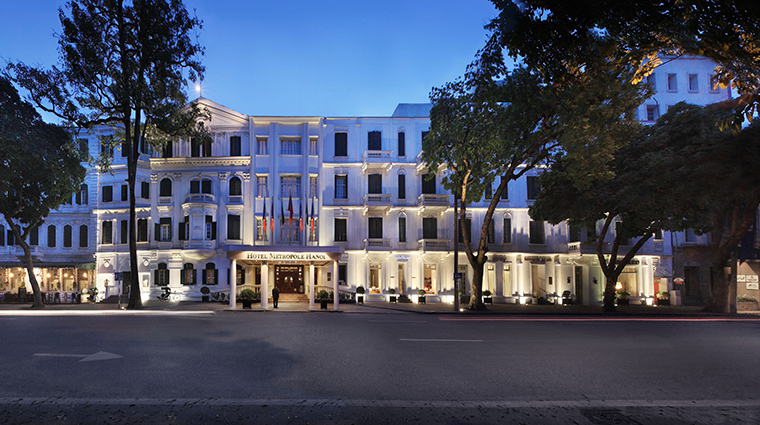 Along with the rest of the country, the hotel hit a rough patch after the war, but was brilliantly resurrected by the Accor group in the early 1990s and has since reclaimed the hearts of both travelers and Hanoians, who use its classical white façade and green shutters as a backdrop for countless wedding pictures. Choose from the atmospheric rooms in the original Metropole building, or equally luxurious but more contemporary digs in the Opera Wing. A superb set of dining venues, a stylish spa and in-house history tour ensure there’s plenty to explore. 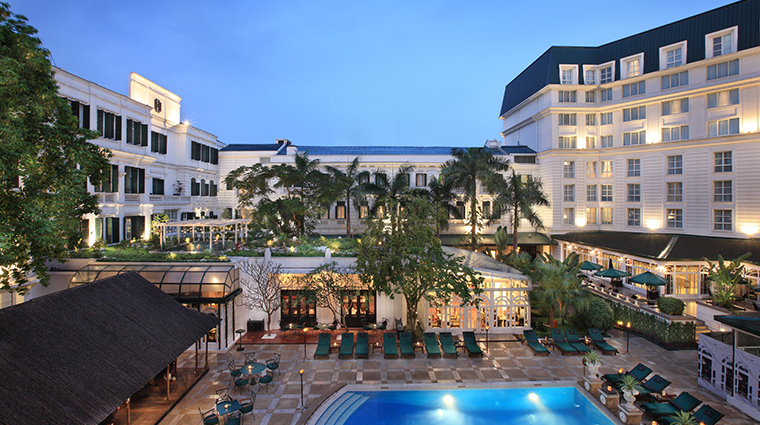 Sofitel Legend Metropole Hanoi is a supremely beautiful hotel, inside and out. Every corner is a compelling photo opportunity, especially in the gleaming historic wing and all-white inner courtyard. 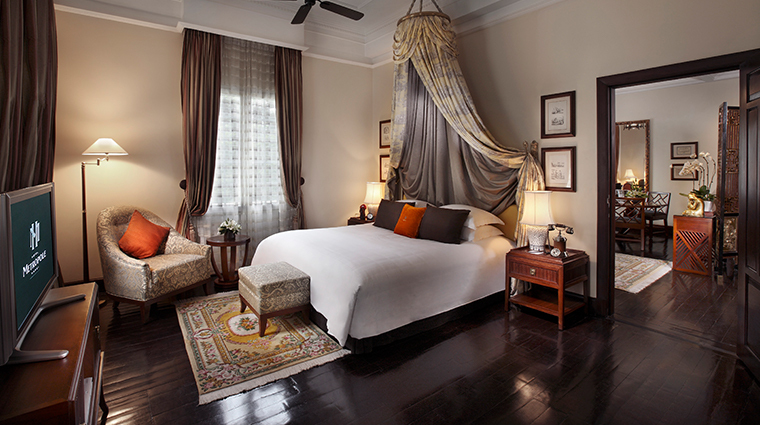 With more than 100 years of history, the Hanoi hotel can spin a few good yarns. The Path of History tour brings you into the Metropole’s wartime bunker and introduces its star-studded guest roster. 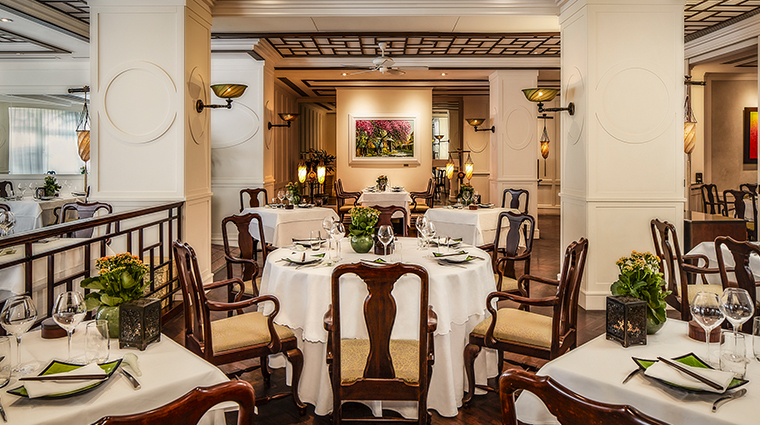 Afternoon tea at Le Club, coffee at La Terrasse, cocktails at Bamboo Bar — some Metropole moments have transcended decades to evolve into must-do Hanoi traditions. Don’t miss them. Ensconced in what feels more like an elegant residence than a wellness center, Le Spa du Metropole is a sublimeurban retreat. Try the Jet-lag Recovery or Vietnamese Journey ritual. 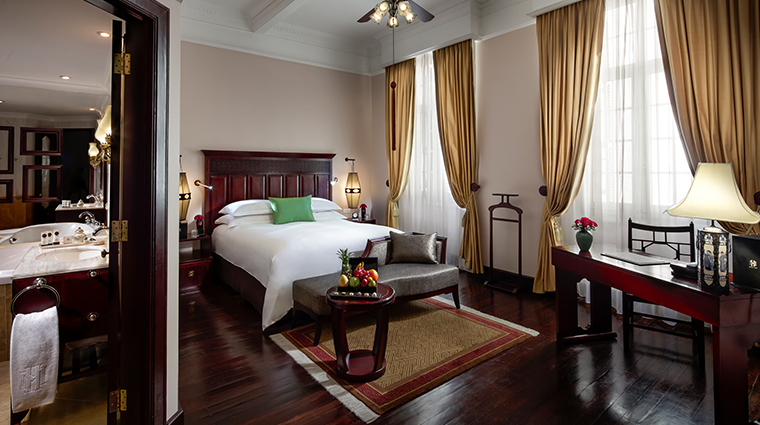 For those seeking a taste of Old Hanoi, the Metropole’s creaky central stairs, polished wood furnishings and elegant rooms are an authentic throwback to another era. The hotel’s central location means traffic noise can be a concern. Light sleepers can opt for soundproofed rooms in the Opera Wing. 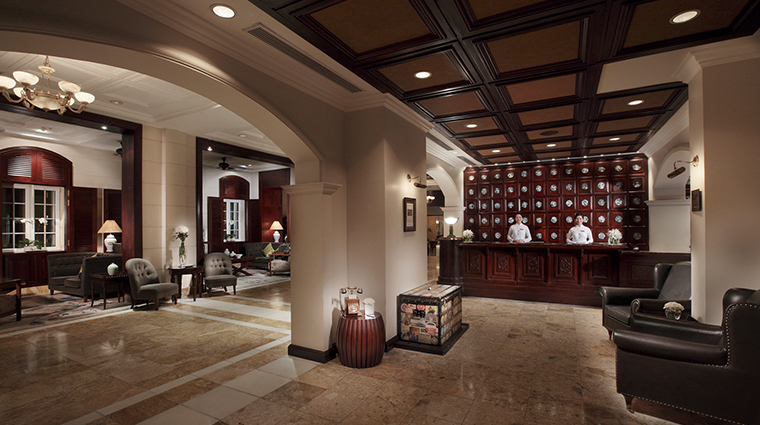 At high occupancy year-round, the Metropole is booked solid over the holidays. If you can snag a room, there’s no more festive place to spend Christmas in Vietnam. The swimming pool is a communal affair: adjacent to the spa, bordered by Bamboo Bar, in full view of Le Club and overlooked by several dozen guest rooms. The Metropole has a strong sense of pride in its Vietnamese heritage. Staff dons an eye-catching array of ao dai costumes, walls glow with local art and ceramics, and detailed explanations of Vietnamese culture are sprinkled throughout the luxury hotel. 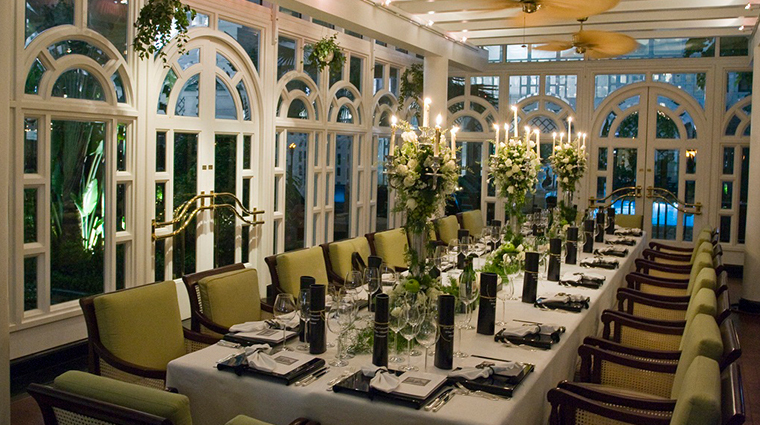 The Metropole offers 364 rooms in two wings. 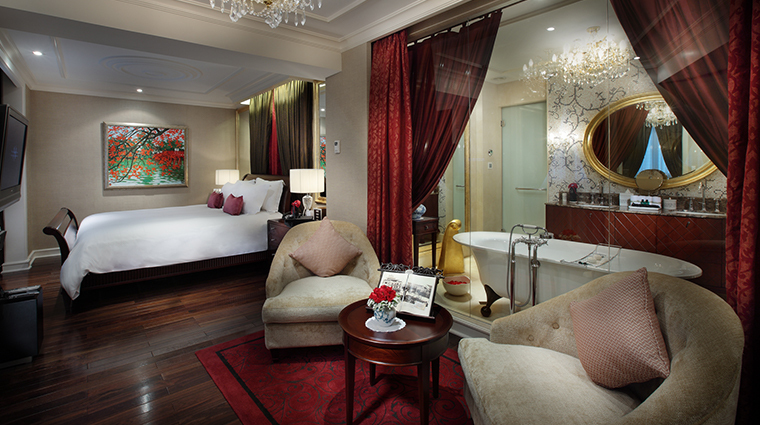 At the top of the spectrum, the 1,900-square-foot Grand Prestige Suite is fit for a king. 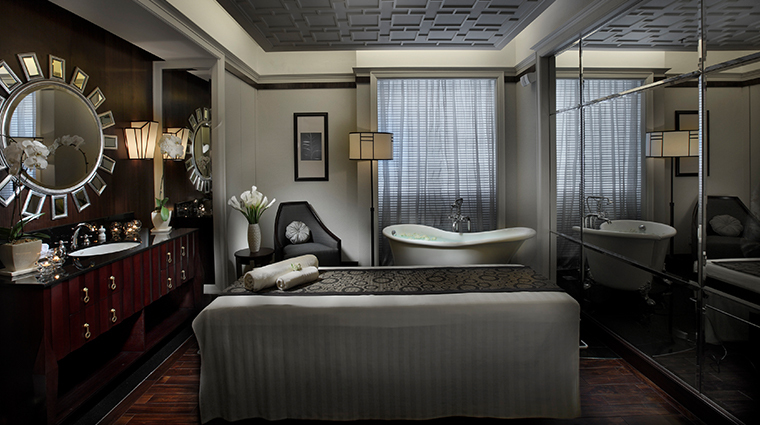 All rooms are prepped with Hermès and Lanvin amenities, Sofitel MyBed mattresses and the hotel’s own brand of teas. 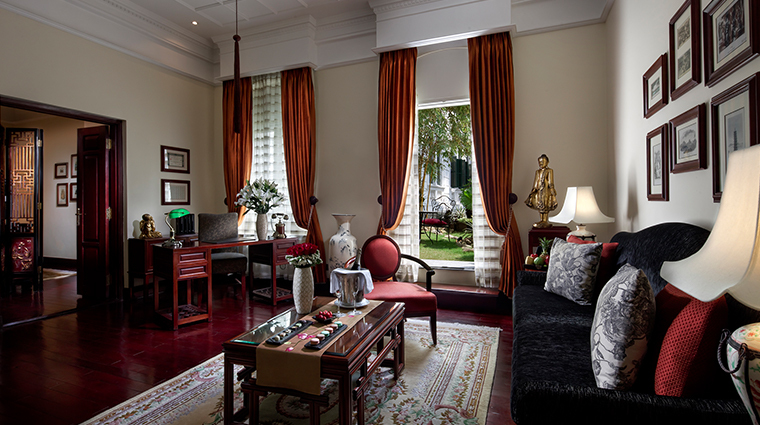 Framed Indochine-era magazine covers and historic photos recall the building’s history, even in its most modern suites. The Somerset Maugham Suite, one of three Legendary suites in the historic wing, opens onto its own private garden and features an original painting by Joan Baez. 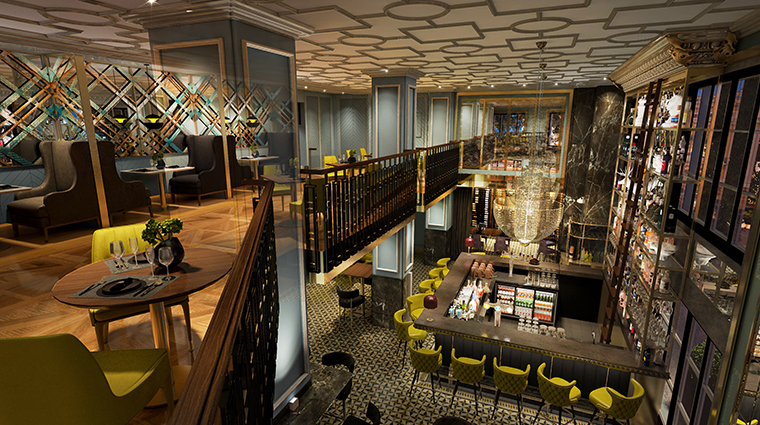 The new Angelina (renovated in 2018) is a quietly compelling venue. The New World menu will please carnivores, but the beguiling whisky lounge, brushed stainless-steel bar and inventive cocktail list are reason enough to visit. Le Beaulieu serves some of Hanoi’s best breakfast buffets. 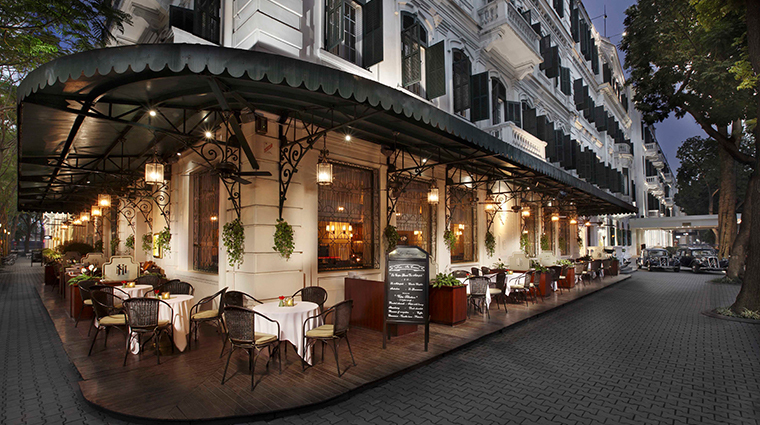 Don’t miss a Hanoi egg coffee at La Terrasse café, just outside. 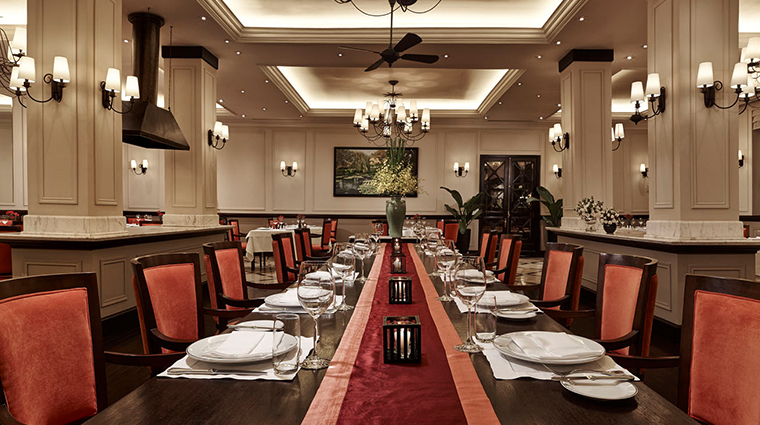 Popular with Vietnamese celebrities, Le Club is a photogenic spot that draws an equal mix of guests and locals. The glass-walled design allows lush views of ferns and flowers to filter in. 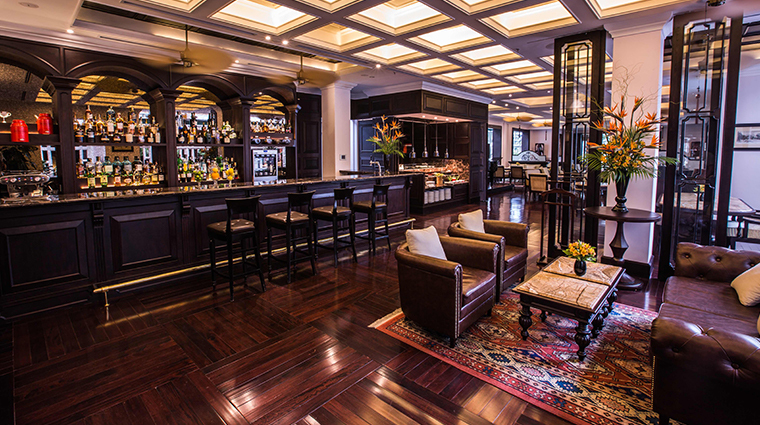 Pictures show the Metropole’s Bamboo Bar hasn’t changed much since the days when Somerset Maugham penned novels here. The Charlie Chaplin cocktail (gin, apricot brandy and lime juice) is still an appropriate order on Hanoi’s sultry evenings.